After several outboard motor issues, we set seven nets the evening of the twenty-second. 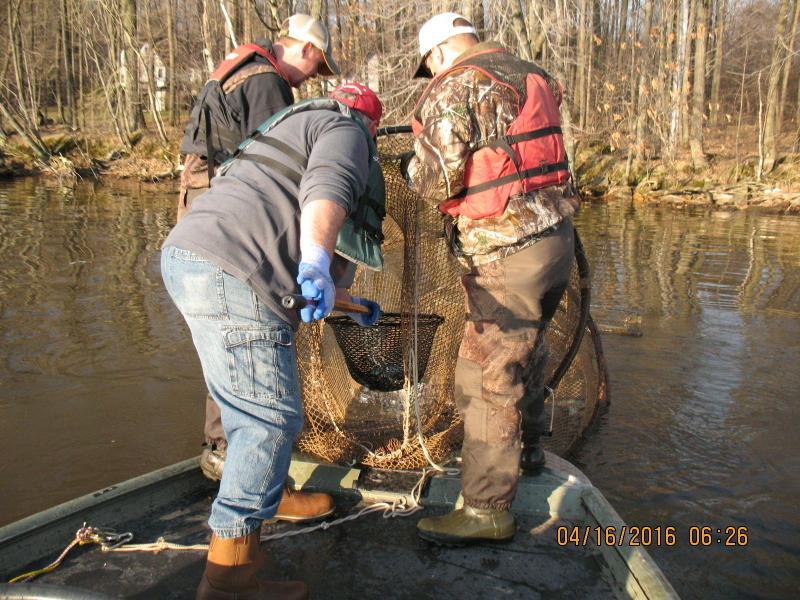 In cooperation with the local DNR biologist who are currently performing their five year warm water fish survey, we are running three of their nets so we actually have ten nets to work. We got three net-nights under our belts. We have handled 137 walleyes, with 38 of which were “workable” females (nothing over 26″ do we strip, this also accounts for green females – all these fish were documented then released) to 61 lively always ready boys – decent ratio. 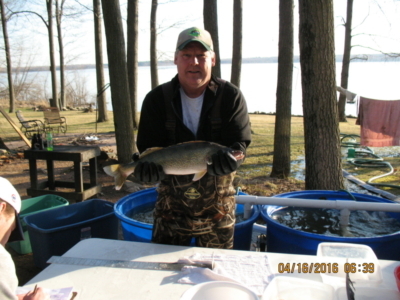 We have 3’072’000 future walleye dinners/wall-hangers incubating. Hatching of those eggs will begin about 5/12 with full hatching on 5/16. Target is around 9’300’000 eggs, with a target release number of 7’500’000. We’ll see how it all goes, we’ve got a great hatchery attended – should go fine. This entry was posted in Uncategorized on April 26, 2016 by BillKoehne. IF YOU FISH WALLEYE ON GREEN BAY, WANT A WALLEYE PROGRAM IN RIVERS ENTERING GREEN BAY OR LAKE MISHIGAN, ***** GET INVOLVED WITH THE DNR LAKE MICHIGAN 10 YEAR PLAN ***** OR GET WHAT YOU DESERVE. The DNR is in the final stage of the plan and there has been NO comments from walleye fishermen at their outreach meetings. There was a meeting in Cleveland and no walleye interested people or group attended. Prior meetings had similar attendance. Commercial fishermen and the trout and salmon lobby have been VERY active and outspoken. Their written comments are the only documented opinion of the scope and intent of the plan. Without other opinion input these interests will have a huge say in the 10 year plan and walleye will be under represented. 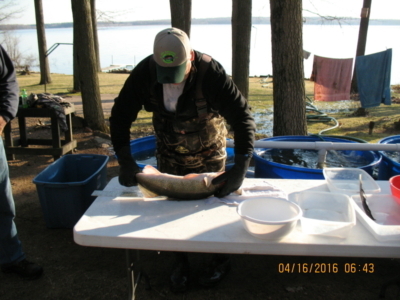 Whitefish harvesters are pushing for increased netting of whitefish in southern Green Bay. 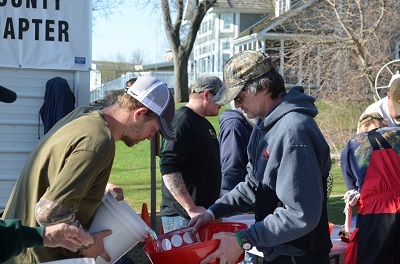 Walleye are considered incidental catch and an imposition and the harvesters are pushing for permission to keep and sell walleye. 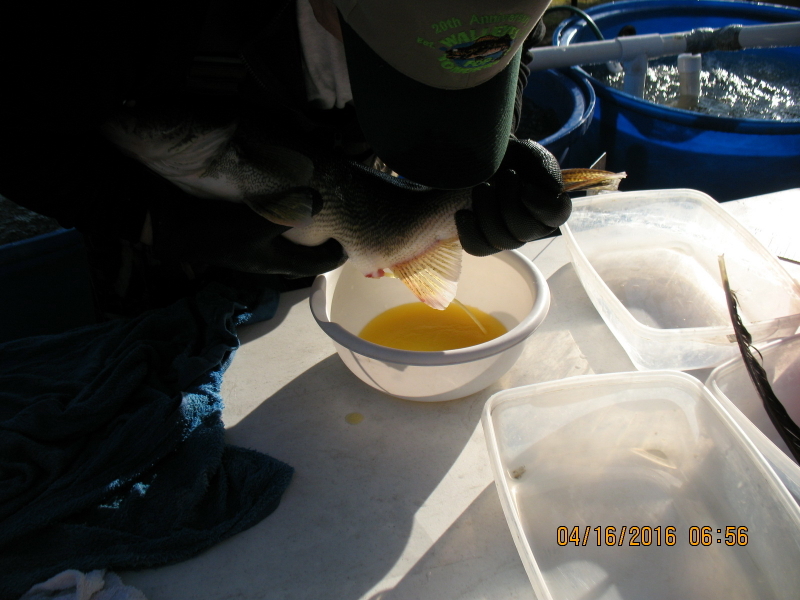 They claim walleye are in such numbers that they are adversely affecting forage production. Particularly perch and young whitefish. Commercial sale would be an avenue to reduce the forage impact under this opinion. 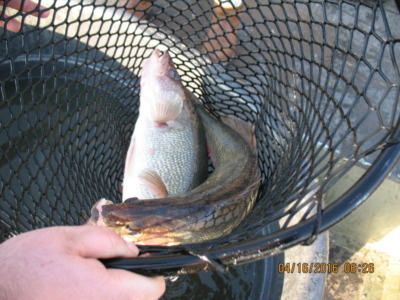 The only present limitation of trap net placement is a 1/4 mile from shore restriction. The trap net issue is in a 30 day comment period. 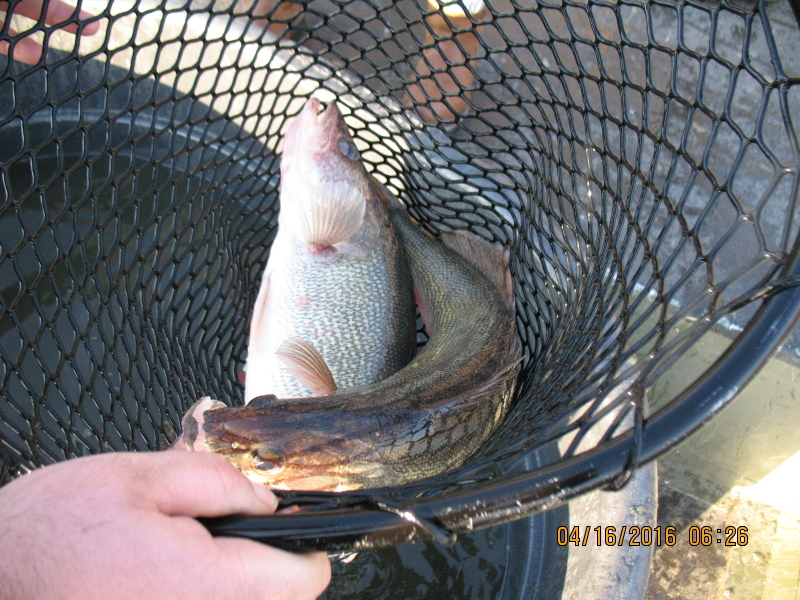 Get involved and make it known that walleye management and population expansion should be front and center in the 10 year plan. 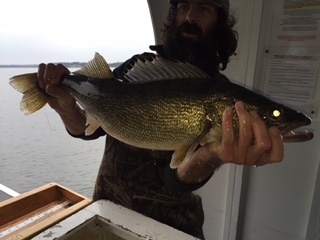 Get involved and write a letter to DNR in Green Bay, Sturgeon Bay and Milwaukee emphasizing a stated walleye management plan and platform in the 10 year plan. This entry was posted in Uncategorized on April 19, 2016 by BillKoehne. 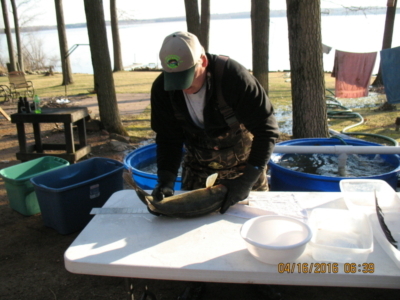 I had occasion to help Walleyes For Tomorrow with the walleye egg gathering operation on the Big Eau Pleine flowage a couple days this past week. The attached photos are from today, Sat. April 16th 2016. 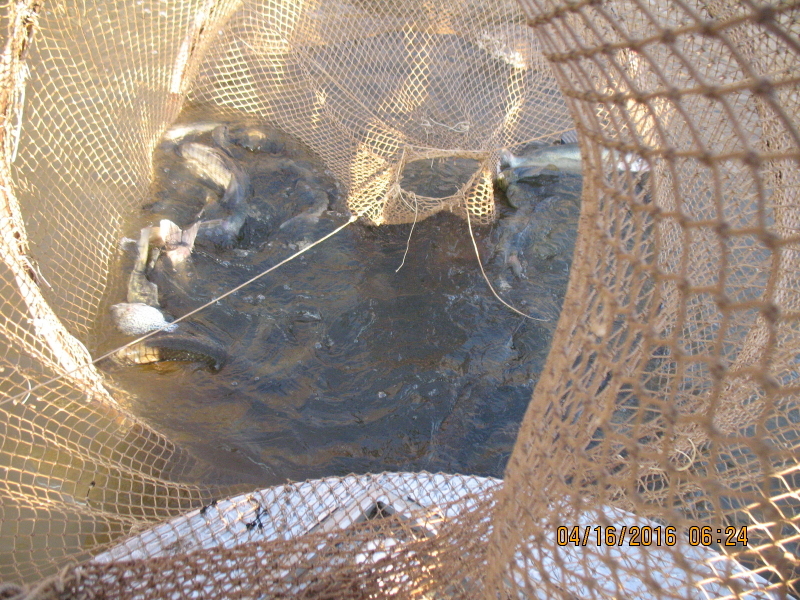 Fifteen males and 38 females were netted today. 42-44* surface temps. 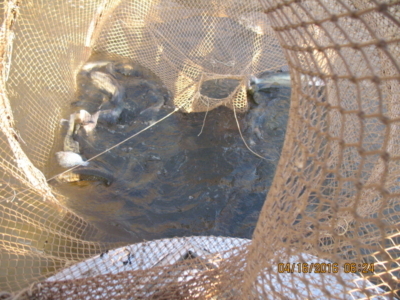 Fish were in all three stages: post spawn, spawning, and pre-spawn. 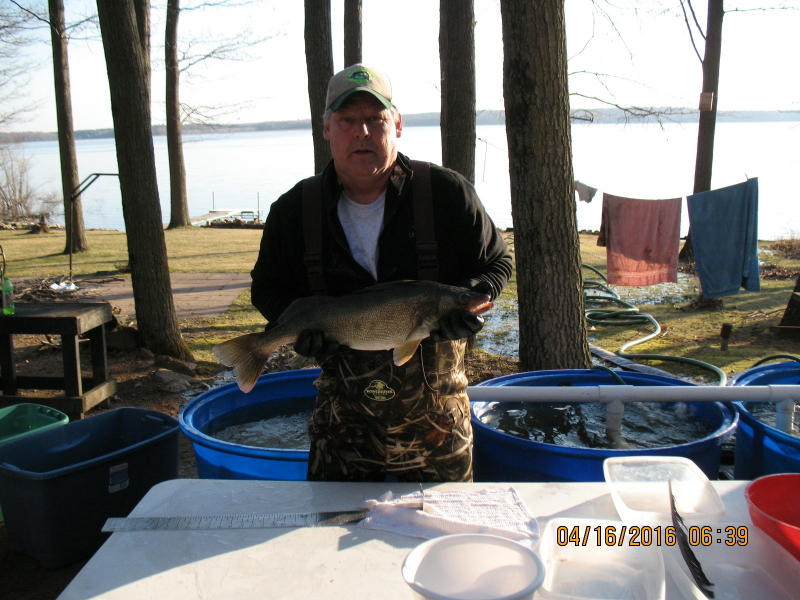 Big fish today was 29”, and yesterday a 31” was netted. A total of three million eggs are in the hatchery jars at this time. This entry was posted in Uncategorized on April 18, 2016 by BillKoehne. This entry was posted in Uncategorized on February 17, 2016 by BillKoehne. POTATO SALAD, COLE SLAW, BAKED BEANS. $10.00 ADULTS AND CHILDREN UNDER TWELVE $5.00. $12.50 ADULTS AND CHILDREN UNDER TWELVE $6.00. and we’ll get your tickets in the mail. This entry was posted in Uncategorized on July 1, 2015 by BillKoehne. Keeping the walleye population thriving in Green Lake County is a big part of the Walleyes for Tomorrow organization. The Green Lake Chapter has maintained a longtime operation for raising fish to stock in Big Green. This entry was posted in Uncategorized on June 23, 2015 by BillKoehne. We currently have a our largest project ever underway on lake Winnebago. Twelve deepwater reefs are planned with over 4 million pounds of rock being placed by barge on hard bottom areas. 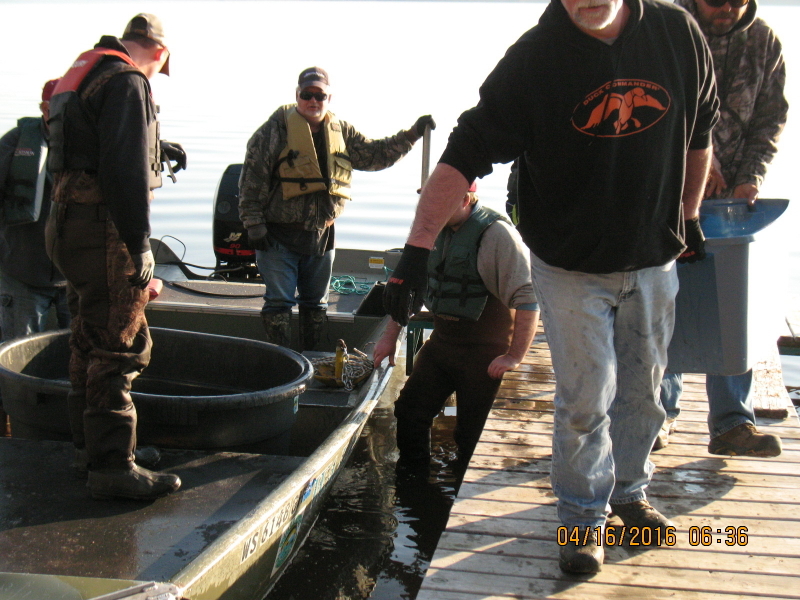 The reefs will provide habitat for Walleyes, other gamefish and forage for generations to come. Unfortunately we have had to move equipment to other locations to be able to finish the project shortly. Please help us with the cost of this project as it is far above what what projected. This entry was posted in Uncategorized on June 10, 2015 by BillKoehne. Barbolas Marsh – Installed two 6’ culverts and water control structure to facilitate low water flooding of marsh. 1999. $19,551. Hart & Wiess Marshes – cut banks and marsh roads to allow greater water flow across marsh 1999. $11,135. Installed an 8’x 35’ culvert at the Berlin Dam to start the Berlin Marshes project. 1999. $12,708.61. Log diverter installed above Eureka Dam fish way. 1999. $18,733. Badger Mining Company Marsh river bank lowered and riprapped to facilitate water flow. 1999. $7,328. Repaired work areas washed out by 2003 Spring high water. Installed three 4’culverts under Lock Road at the Princeton Dam to flood blocked marsh. 2005. $11,448.77. Installed 2 culverts at the Fox River end of the Berlin Ditch to increase water flow in ditch. Installed culverts on Reinsbach property to facilitate water flow in marsh. Badger Mining Marsh, removed beaver dam. 2007. $805.75. Installed 5’ culvert at Huck’s Marsh to increase water flow along bank spawning area, 2008. $6,314.30. Stabilize dredge bank at Huck’s Marsh with willow logs & native vegetation, 2008. $3,475. Replaced rotted 36” culvert with 72” culvert to facilitate water flow on west side of Hopp’s Rd. 2012. $3,693.36. Install 9 36inch culverts under Hopp’s Road, 2012. $15,908.28. Purchased 11 acre marsh below Lock Road at the Princeton Dam. 2012. $13,000. 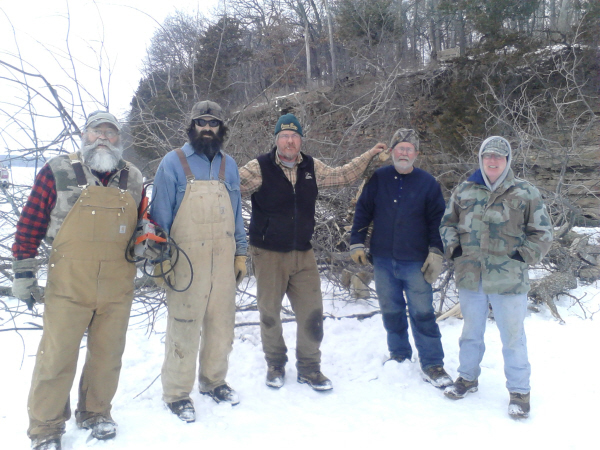 Participated in project planning to build fishway around Princeton Dam. $10,000 budgeted. Constructed bridge over bayou on Nordell Young property. 1994. $9,000. Funded Walleye Watch using retired wardens during spring spawning run. 1997-99. $4,110. Rassmussen’s Canal, New London, Excavated canal to aid water flow during spawning run. 1999. $13,154. 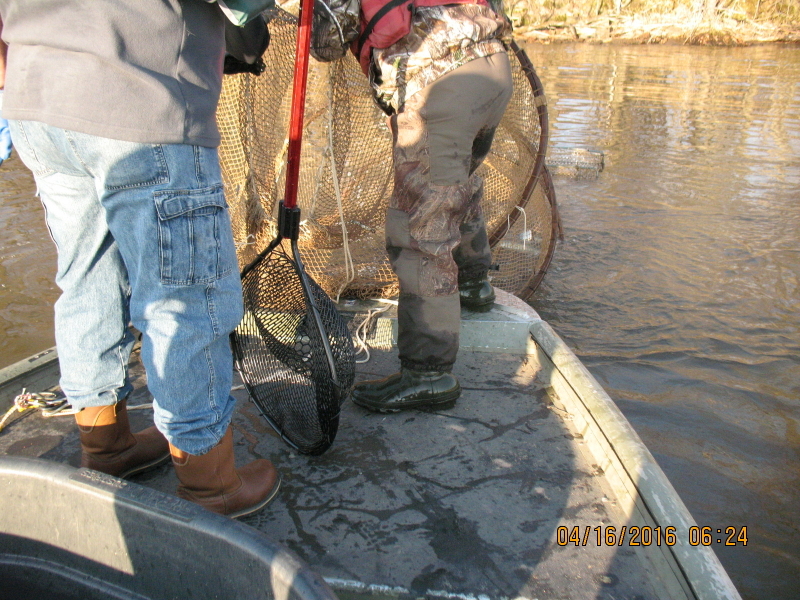 Funded DNR Spring Walleye tagging program, 1999. $4,700. Larson Inlet – Removed fallen trees & brush that blocked water flow at marsh outlet. 2000. $3,788.68. 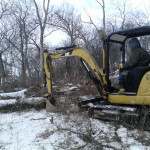 Kalwictz Marsh – cut down bank to improve water flow. 2000. $4,197. Wolfrath’s Marsh – cut down river bank to improve water flow. 2002. $4,172. Mowed Bernagger’s Marsh to remove woody vegetation. 2003. $1,019. Opened up outlet of Fleese’s Marsh, 2003. $2,165. 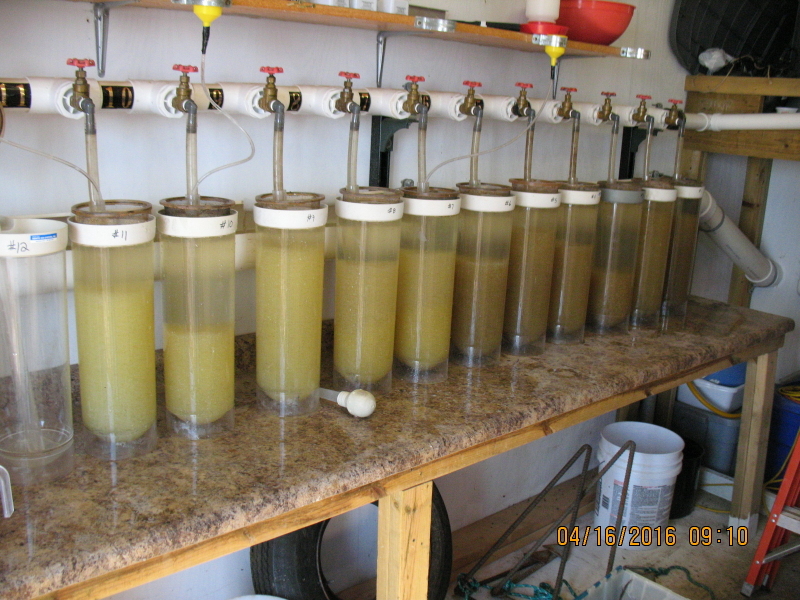 Colic Slough – opened up inlet for water flow. 2005. $6,359. Bernegger’s Marsh – Installed water level control structure. 2006. $3,500. Contracted Omni & Associates to conduct water flow study of Wolf River at Templeton’s Bayou, 2006. $1,499. Lee Volz Property – made 45’ cut in river bank to increase water flow into Mud Lake Marsh. 2007. $2,842. Larson’s Marsh – made 65’ cut in the bank on inlet of marsh to increase spawning water flow, 2007. $10,940.68. Templeton’s Bayou – Removed one 48” culvert and installed two 60” & two 96” oval culverts to provide 6 times the water flow in the marsh, 2008. $24,337.87. Krake’s Marsh – removed an 18” perched culvert and installed three 36” oval culverts in marsh road. 2008. $4,354.91. Steven Jordan Road – Removed 10” culvert and installed three 36” oval culverts to increase water flow on Embarrass River Marsh, 2008. $3,560.71. John Povlich Road – Installed three 36” oval culverts under road to increase water flow. 2009. $3,787.85. Mosquito Hill Bank Cut- Remove old rip-rap, lower river bank and armor bank with Geoweb and native vegetation, 2009. $2,246.73. Mukwa Marsh- Cut down river bank at outlet of marsh, 2011. $7,409.42. Krake’s Marsh- removed an 18” perched culvert and installed three 36” oval culverts in marsh road, 2012. $5,185.92. Installed three additional 36” culverts, 2014. $4,776.99. Contribute to the purchase of box culverts with Waupaca Co. for Co. Hy. X to replace 4 perched 6’ culverts, 2014. $10,000. Started the Sturgeon Bay Chapter, 2003. 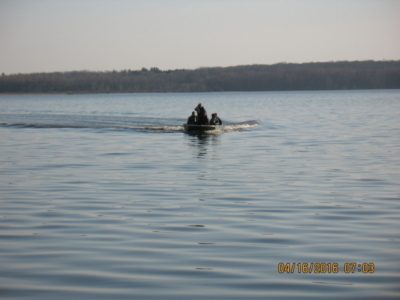 Purchased pontoon boat, trailer and motor. Operated Walleye Wagon on lake for 17 years. 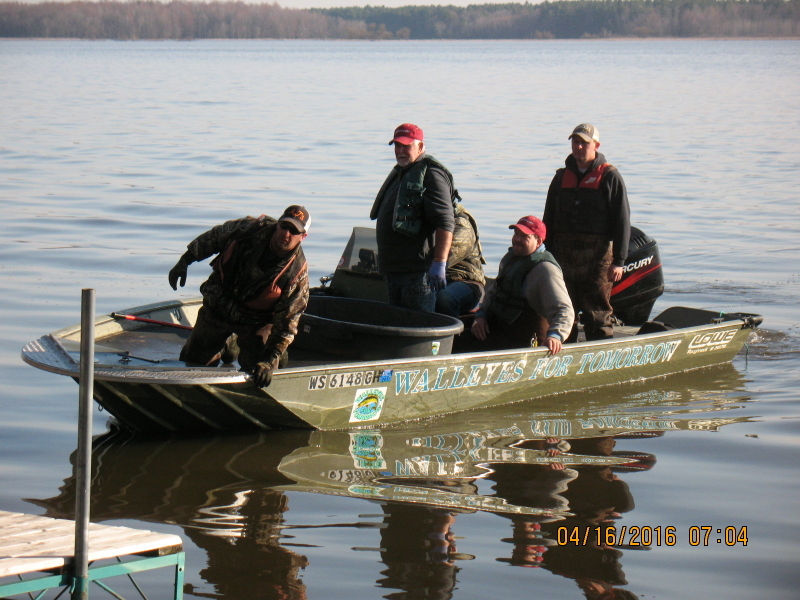 Operated Walleye Wagon on lake 2 years. Built rock spawning structure in Lake Emily. 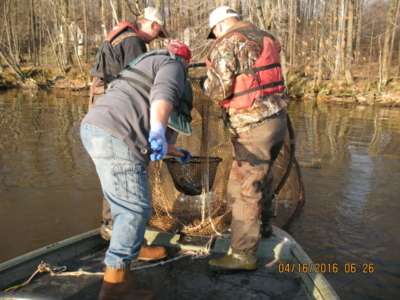 Big Eau Pleine Reservoir – built a rock walleye spawning structure, 2015. $1,449.57. 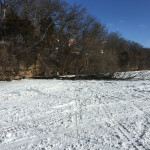 Rip rapped below dam and constructed rock walleye spawning area. 2005. $3,842.70. Provided $15,000 “seed money” to build spawning reef in Milwaukee River (2006). Built walleye rearing pond. 1999, $12,000. 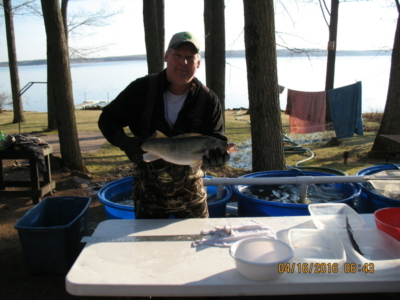 Built a Walleye Wagon portable fish hatchery for operation in 2012, 13, 14 &15. 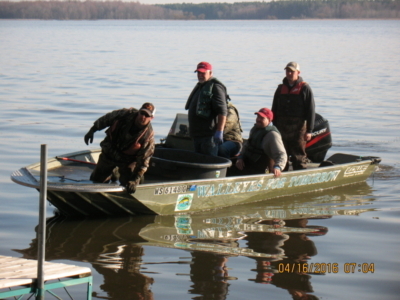 Operated Walleye Wagon 2012, 13 &14. 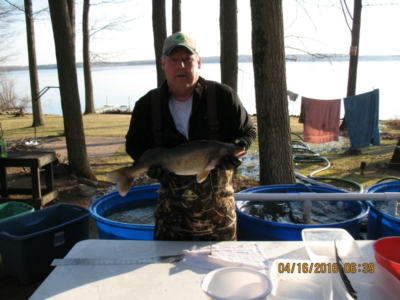 Stocked lake using Walleye Wagon 12 years. 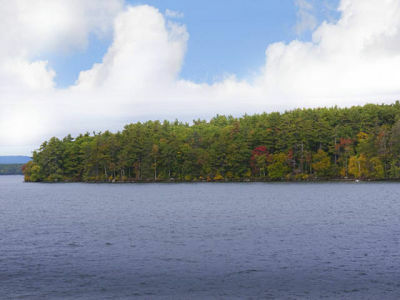 Started the Lake Country (Okauchee Lake) Chapter, 2004. 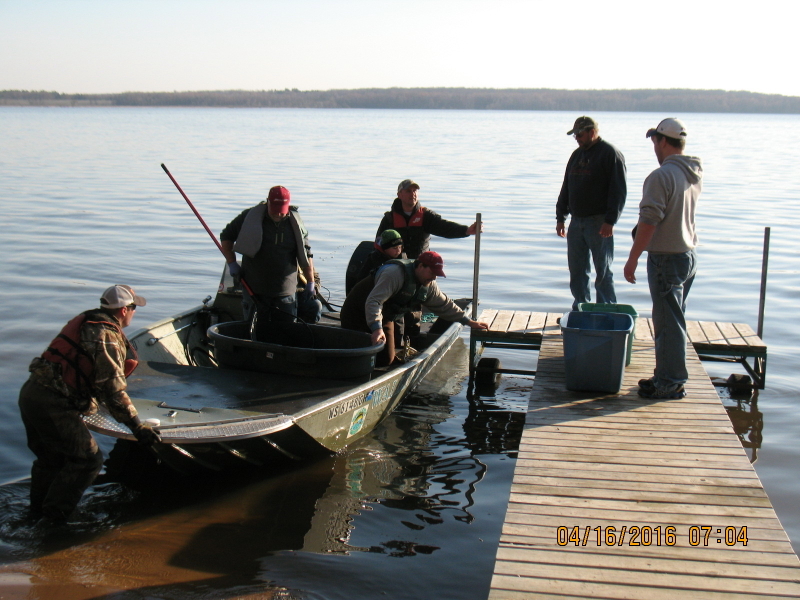 Operated Walleye (Sauger) Wagon on lake for 10 years. 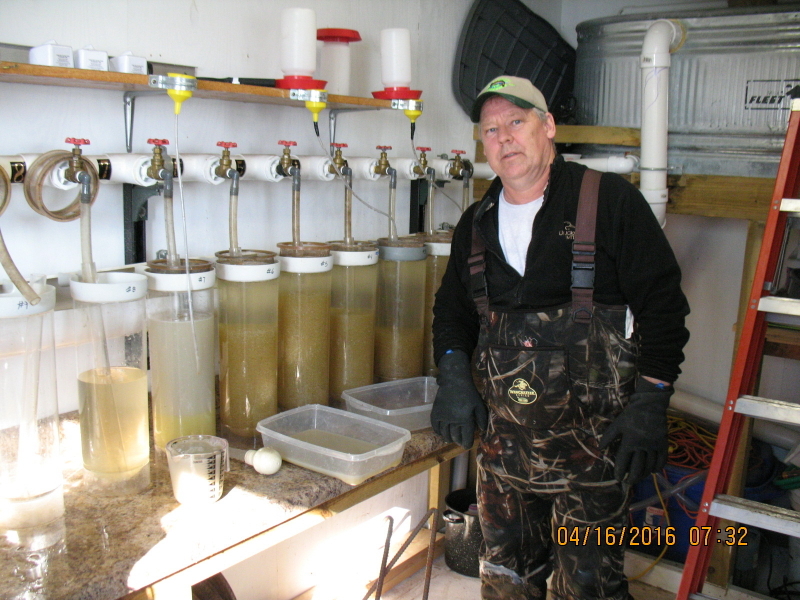 These hatcheries have released approximately 145,000,000 walleye fry over the past 20 years. Built hatchery #1, 1993, $19,922 Yahara R.
WFT budgets $11,000 per year for rod & reel combinations and tackle boxes to be given away at chapter sponsored events. (6) 2007. $3,939.53. Barron Co.
(6) 2012 $5,311, Barron Co.
Walleyes For Tomorrow is a Federally Tax Exempt 501 (c) 3 and (c) 4 Corporation, and a Wisconsin Non-Stock Corporation. 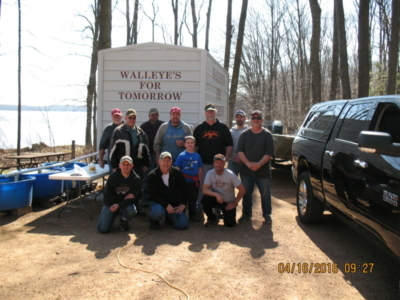 Walleyes For Tomorrow is a totally volunteer organization and pays no salaries to any member or officer. All expenditures for the above listed projects, initiatives, studies or assets were paid for by income derived from fundraising events, memberships, donations, memorials and grants. Thank you for your support in helping with our goal of improving production of Walleye in Wisconsin. This entry was posted in Uncategorized on May 19, 2015 by BillKoehne. The GL Chapter volunteers with the help of Jeff Washkovick of R&R Wash Materials of Ripon donated his Saturday and a CAT mini excavator to assist in the placement of our first “Fish Sticks” project. 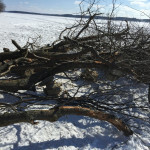 The dozen or so volunteers dropped several large live oaks from the shore of the area known as the “Winnebago Trail” on the Green Lake Conference Center grounds, this is one of the several properties purchased by the Green Lake Sanitary district as conservatory set-back properties. Whew what a learning curve, and a full day’s work. If it wasn’t for the outstanding generous donation by Jeff Washkovick of R&R Wash Materials we might still be out there working on this project. 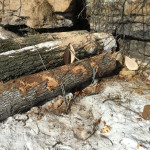 We placed about 400 to 500 pounds of rock at various locations along the length of trees, and enhanced the crown with other various live smaller trees. Four “Duckbill” anchors were driven straight down into the lakes shore-line to secure the trees to the shore. Hopefully this is just the first in many more placements, providing the 2015-2016 winter brings us good ice. This entry was posted in Uncategorized on February 25, 2015 by BillKoehne.